Hi there! 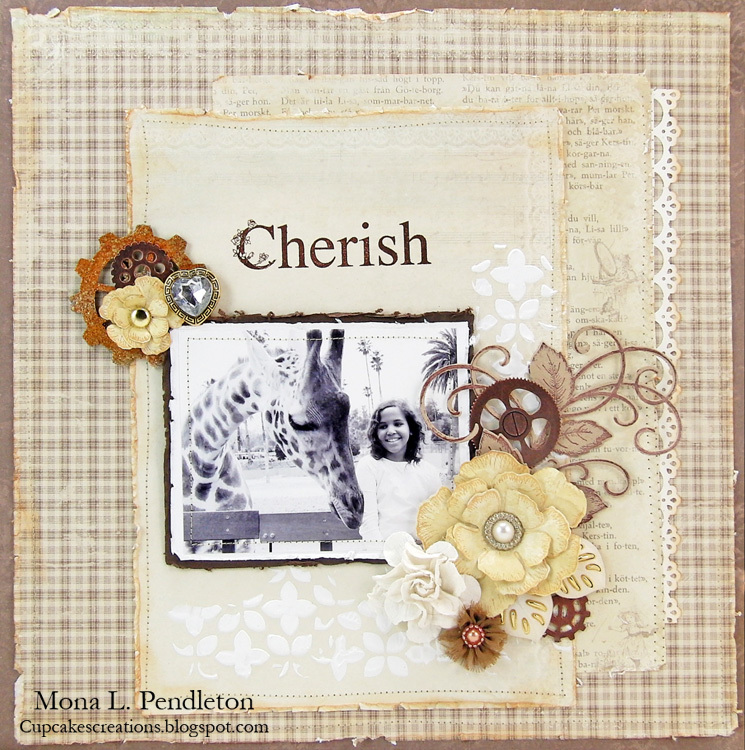 Today I have a layout to share with you that I made using a combination of pretty patterned papers from the For Father and Grandma’s school book collections. 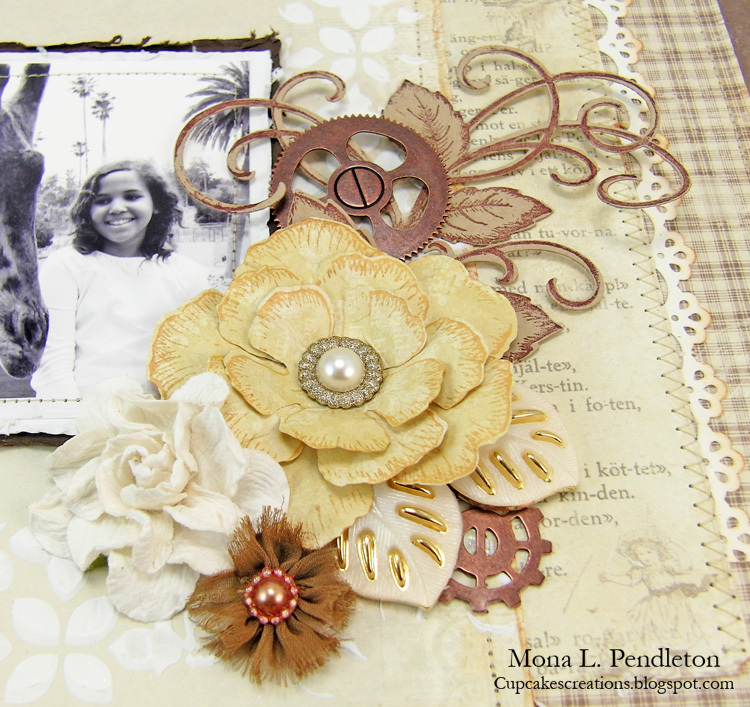 The yellow die cut/stamped blossoms were made using beautiful paper from the Grandma’s school book collection.